Air France has unveiled a Google Street View video of its new medium-haul cabin. Passengers can take a tour of the interior of a two-class A319 aircraft fitted with the new design. The carrier operated the first flight to feature the redesigned cabin last month (see news, March 20). 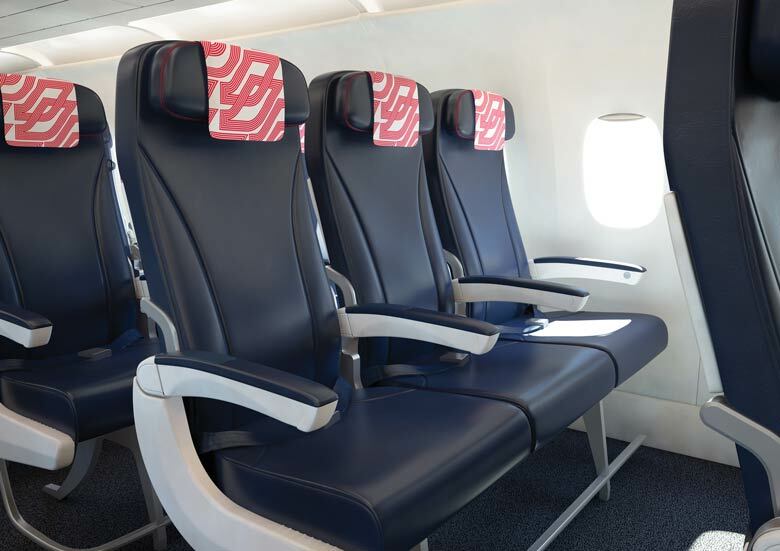 The redesigned seat, which is upholstered in leather, is being fitted in all cabin classes on the airline’s medium-haul fleet based at Paris CDG. It is being installed on 24 A319 aircraft in the first half of this year, with 25 A320s to follow in the first half of 2016. Air France has also launched a new “Economy Flex” medium-haul fare for business passengers (see news, November 27). These tickets are transferable in the same booking class and refundable at no extra charge. Passengers will also be able to catch an earlier flight than scheduled, on the same day and at no cost. They will be able to earn Flying Blue miles, have access to Air France’s fast-track Skypriority services and will be allocated seats at the front of the economy cabin. And, Air France is upgrading its medium-haul business class offering to include a full breakfast in the morning — coffee, tea, fruit juice, bread and pastries — and a snack or cold meal at other times of the day.